My earlier post got me thinking about my study abroad experience and if I were to study abroad again, not just where would I go, but what would I do differently. My time in Italy changed me for the better, but I definitely made some of the more common mistakes. If you’ve already been abroad, I’m sure you can relate to some of these. If not, than hats off to you…I’m impressed. For anyone preparing to leave, take my advice and avoid some of the most classic regrets. Study abroad for a full year. I was very involved at my college and just couldn’t convince myself to go abroad for more than the two month program. Granted I did it three times, but I still wish I would have gone for a year when I had the ability. Give up English. While my Italian definitely improved while I was abroad, I wish I had just stopped speaking English all together. I think my vocab would be a lot better today if I had. Go by myself. The second time I studied abroad, I went with a friend who I had met on my first program. We started out great friends…we ended not speaking to each other. In fact we haven’t spoken since. While it’s fun to travel with friends, I always advise to study alone. Consistently journal. I really wish blogging had existed when I studied abroad. Maybe I would have actually wrote more of my experience down. Now I just have faded memories of washing clothes in the bidet and my original impressions of seeing a Bernini for the first time. Pack less. I am 4’11”. It is great quality on planes; not so much when carrying luggage. 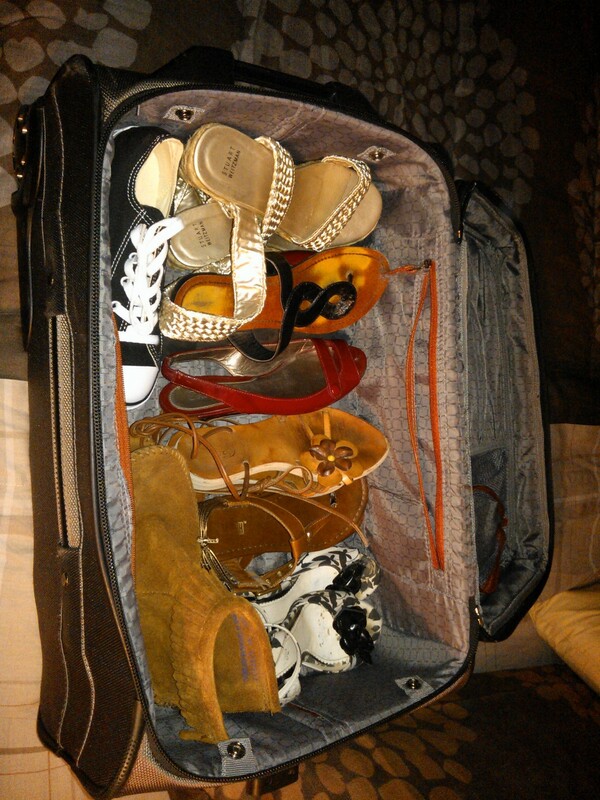 Plus, no one needs 8 pairs of shoes for 8 weeks in Italy. Eight pairs of size 3 shoes still take up a lot of space. This entry was posted in Study Abroad and Beyond and tagged Advice, Study Abroad, Travel on June 21, 2012 by eliseblalock. Northern Finland…that sounds chilly! I’m glad to hear this applies in more than just Italy. Thanks, Bee!